A world of fast living and heavily processed foods is a toxic world. Our method of cooking food right down to the products we coat our skin in aids us in accomplishing a "toxitarian" lifestyle. 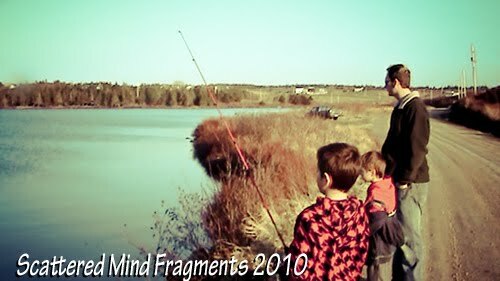 This lifestyle can shorten our lifespan and create illness. 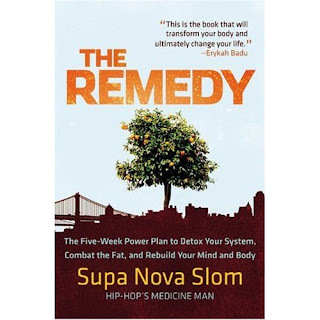 The Remedy is a really informative book that truly goes beyond normal detox diets. Supa Nova Slom talks about his life growing up and how his toxic body was also further polluting his lifestyle and choices. He talks about love and willpower and how he brought his diet beyond a vegan lifestyle to that of a Chlorophyllian, which he describes as a diet considering of 70 percent greens (green juice) and legumes and other things. He even talks about the importance of water in the diet and how whatever we are consuming for water as a general rule of thumb to double it because no one is drinking enough water. Slom further discusses the best sources of drinking water, talks about colon health and completely breaks down the diet. This book is packed with useful information to completely energize you and completely change your life and the way you look at food! Disclaimer: I was given a copy to review for my honest opinion and was not given any other monetary payment. I am an Amazon Associate so clicking on the link above may result in compensation if purchases are made. Thank you to Hachette Book Group for my review copy and to the Product Review Place for connecting me with this company. 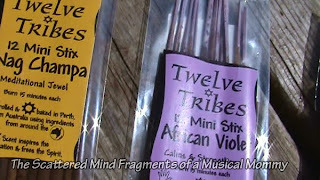 Twelve Tribes Incense is located in Perth, Australia. 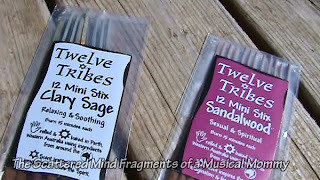 They specialize in 40 different fragrances of hand rolled and sun baked incense using ingredients from around the world. They make their incense each week so that the product is fresh when the customer orders it. 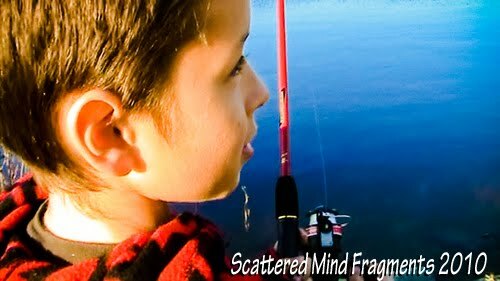 I asked Leith at Twelve Tribes Incense if she would like the Scattered Mind Fragments to to a product review and felt very blessed that not only did she agree to be reviewed, she sent a very generous amount! The scents are absolutely captivating. I spent the better part of the first 30 minutes after the package was opened just smelling all of the different scents. 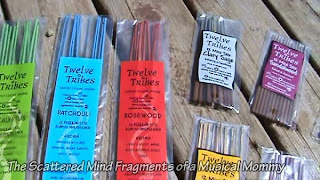 One of the things I noticed was that the scents aren't laden down with chemicals like so many other varieties of incense that I have tried in the past. The packaging is very lovely. Not only is the scent indicated, but you will also find the burn time and on the regular stix they include a list of uses/powers of the specific scent. 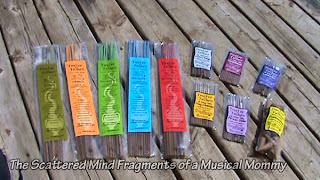 For example: The Eucalyptus regular stix has a 30 minute burn time, its Aroma is described as "Clean, Camphor, Fresh, Floral, Mellow, Penetrating, Slightly Sweet" its Power is described as "Brain Cleanser, Dispels Anger and Negative Energies, it is great for fumigation around the sick, Clearing and Colling, Revitalise and Stimulate, Mosquito Deterrent"
If you need Incense for Prayer, Meditation, Dreaming or just daily burning I highly recommend Twelve Tribes Incense. Not only are you paying for good quality scents that burn clean but you are also supporting the WSPA! Did I mention they ship globally? Disclaimer: I received this product in exchange for my honest opinion. Receiving the product did not influence my opinion in any way, nor was I given any other kind of monetary payment. 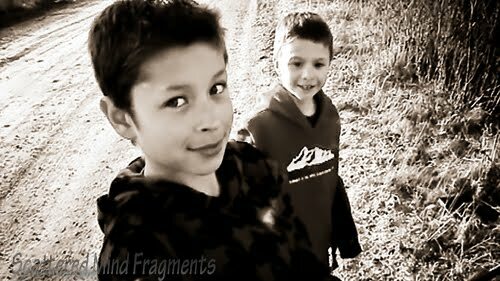 "Sometimes when life hands you lemons, it's harder to make lemonade than that cheery notion suggests. In more trying situations, the initial urge may be to use said lemon as a projectile weapon aimed at the source of frustration. 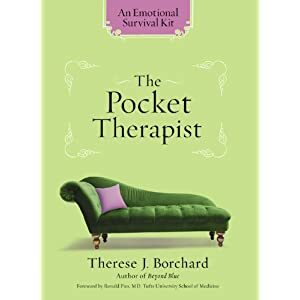 The Pocket Therapist is a book for those lemon-lauching moments in life." That description sets the tone for the entire book. 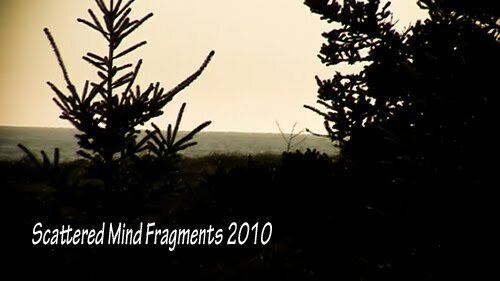 With 144 techniques to help cope with anxiety, conflicts, and just life in general. 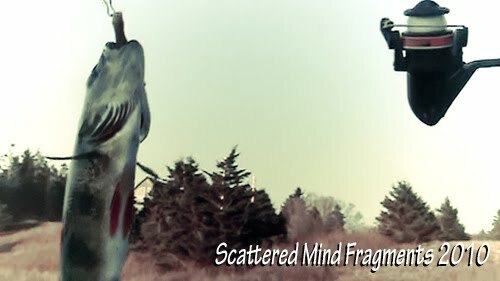 Each of the techniques are designed to help us cope with the negative thinking patterns that so many of us encounter often leading us to feel defeated in our own minds. I really enjoyed the writing style in this book, it was a pleasant mix of honesty, sarcasm and cynicism with a sprinkle of hope. The book was full of very useful techniques, all of which are common sense but often difficult to implement into our lives. With the amount of people living fast paced lifestyles and the increase of people living with anxiety disorders this book has a handy collection of tips to help remind us that we are indeed only human and sometimes we have to know when to just let go of the lemon and take a breath. Professor Happycat Aka Ben Huh the CEO behind Cheeseburger Network which owns and operates the websites: Ihasahotdog.com; Icanhascheeseburger.com; failblog.org and many many more... (and it is possible to spend countless days browsing and giggling over the content of these websites...) has published a book featuring the LOLdogs called "I has a Hot Dog"
For those of you who don't know what a LOLdog is the definition is simple and stated on the back of the book. 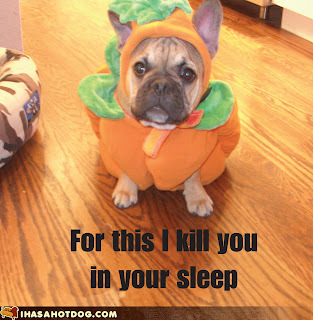 "For all you hoomins, a LOLdog is a kay-nine picture with a funny, misspelled caption." "I has a Hotdog" was a very fast read and makes an excellent coffee table book. People seem drawn to it and the humor is fantastic. My 10 year old son feels that it would make a great gift for someone "who likes dogs and humor :)" I am inclined to agree with him. Everyone who has picked it up and flipped through it here each has their own favorite picture that really cracks them up. Disclaimer: I was given a copy to review for my honest opinion and was not given any other monetary payment. Thank you to Hachette Book Group for my review copy and to the Product Review Place for connecting me with this company. I know it is Sunday I woke up this morning and as I opened my eyes realized that I forgot all about Scented Saturday yesterday... my to tell you the truth I don't even think I realized it was Saturday until yesterday evening. So here it is, a day late Scented Saturday post about Frankincense! Frankincense has a beautiful smell that fits into so many categories. It is slightly woodsy, slightly spicy and a little fruity. Which is how it landed itself as one of my favorite scents. Frankincense grows from a tree and is collected from the tree resin and then steam distilled to make the oil. 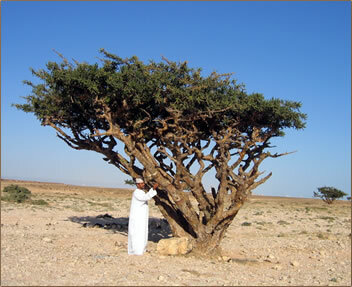 The Frankincense tree grows in the mountains of South Arabia and the mountains of the horn of Africa. Frankincense at one time was valued as high as gold. To this day it is still one of the slightly more expensive oils if you are looking for a pure undiluted mix. Frankincense has many healing properties and was also used in many religious rituals including being used to rid the body of evil spirits. The Egyptians used Frankincense as part of the embalming process. Frankincense can be used to help skin problems (aging, sores, scars, wounds) respiration (asthma, bronchitis, nasal congestion) scars, sores, meditation/prayer aid, Urinary tract infection, flu, menstruation and many more. Frankincense blends beautifully with Myrrh, Bergamot, Ylang Ylang, Clary Sage, Patchouli, Pine, Jasmine and many more oils. A member of the Herbaceous family, Clary Sage (also known as Salvia Sclarea)has been used for centuries. In the middle ages it was used to heal various eye problems. Clary Sage actually used to be called "Clarus" which means clear. The benefits of are not limited to vision though, Clary Sage directly stimulates the hypothalamus which is responsible for reproductive hormone regulation. Clary Sage was used by Egyptians to promote fertility and is also used to regulate the menstrual cycle. Clary Sage is NOT recommended for pregnant woman. It causes the uterus to contract so it can possibly cause miscarriage. However some suggest that after 37 weeks it can be used to stimulate labor. Opinions vary and others suggest to only use it if you are overdue. It is also recommended not to use this oil if you are breastfeeding. Clary Sage is a favorite of creative types and prophets alike who swear by the herbs ability to inspire. 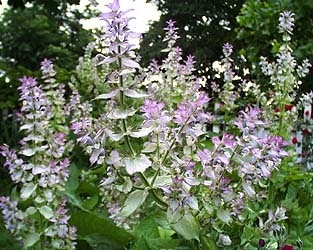 Clary Sage relieves anxiety, fear, paranoia and delusions and promotes vivid dreams and dream recall. 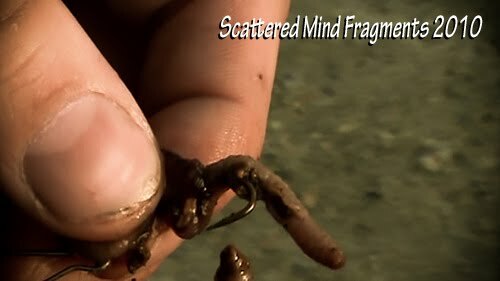 All of this is also due to the effects that Clary Sage has on the hypothalamus. Adding 2 - 3 drops of clary sage oil to a warm compress and placing it on the abdomen helps relieve menstrual cramping. For anxiety, depression and nervous tension use 2-3 drops as vapor therapy or place in a diffuser.